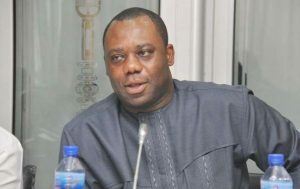 Dr. Matthew Opoku-Prempeh, the Minister of Education, says government has secured 100 million dollars from the China Exim Bank to upgrade infrastructure, equipment and other training materials for technical universities and institutes in the country. He said most technical universities and training institutes would undergo transformation within the first quarter of 2019, and that the Ministry would work relentlessly towards ensuring that the needed support is provided to allow technical universities to run as expected. Dr. Opoku-Prempeh said this at the Third Congregation Ceremony of the Takoradi Technical University (TTU) at the weekend under the theme: “Technical Education in the Context of the Present National Development Agenda: The Role of Technical Universities”. In all 2,027 students graduated, with 1,432 of them obtaining Higher National Diploma (HND) and 445 graduated with Bachelor of Technology Degrees. Of the number, 148 were Civil Engineering graduands who received HND’s competence-based training certificate from the National Board for Professional and Technician Examinations. Dr. Opoku-Prempeh said the Government was undertaking several reforms to improve learning outcomes and ensure their relevance and linkage to industry needs. “There are reforms in Technical and Vocational Education and Training and soon would have a five-year strategic plan for the sector. The success or otherwise of these reforms will depend largely on the technical universities,” he added. The Minister noted that the global market has become very competitive and only those with the experience can stand the test of time and called on instructors and facilitators to provide students with skills to compete favourably. “Having hands-on education on technology today is not enough to guarantee job success. The world of work needs experienced, competent and specialised individuals with the ability to learn quickly and understand sophisticated technologies,” he said. Mr Opoku-Prempeh entreated lecturers and administrators in the technical universities to acquire the needed knowledge to train graduates with the necessary skills to find jobs. He said the task at hand was attainable if technical universities stayed within their mandate and remained technical in terms of structures and programmes. The Education Minister, therefore, urged TTU to work closely with the Ministry and the National Council for Tertiary Education (NCTE) to iron out all issues relating to its transition into a technical university. He used the opportunity to officially open an 800- bed capacity ‘University Hall’ and inspected some ongoing projects on the University’s main campus. Reverend Professor John Frank Eshun, the Vice Chancellor of TTU, said the University was poised to positioning itself as a preferred centre of technical education in the Sub-region. To this end, a Five-Year Strategic Plan was launched in 2016 to serve as a road map towards attaining the vision, he said. Prof. Eshun said staff development was key on the agenda of the University as required of a technical university. The post Gov’t secures $100m to upgrade technical universities’ infrastructure appeared first on Citi Newsroom.